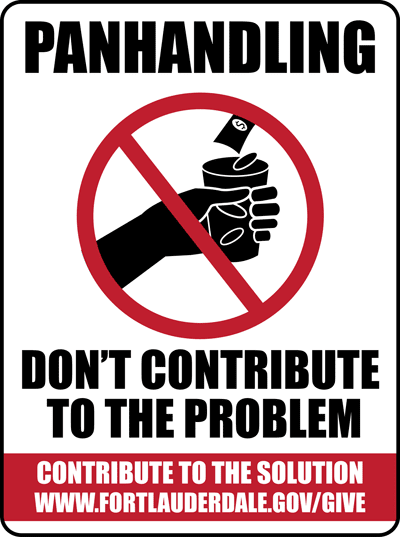 Economics With Alex: Is There a Difference Between Kickstarter and Panhandling? 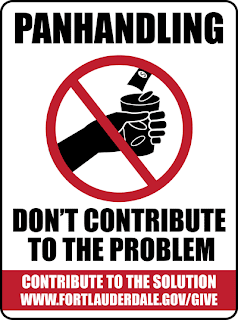 Why is it if you ask people to give you money on Kickstarter, it's (relatively) respected, but if you ask people to give you money on the street, that's called "panhandling"? I know what you'll say: "those bums are just going to spend that money on booze and drugs!" I'm sure some of them will. But hey, who's to say Kickstarter recipients aren't just snorting away the money people are giving them as well? Since donors are not really stakeholders in a Kickstarter transaction, is there really much accountability for the managers of crowd-funded projects to do what they say they are going to do with the money? I'm not telling you, I'm asking you: Other than the little gifts and perks of donation that exchange hands, what's the difference between financing with Kickstarter and begging? Maybe there is a big difference, and I'm just not seeing it yet. Until then I won't understand why it's considered OK for a group of movie producers to beg for donations to finance a film adaptation of a cult TV show, for example, but not OK for a homeless man to seek the crowdfunding of passers by, to finance his own survival. Really, both activities are OK by me. Desperate, worthy people often need to beg. And desperate, worthy indie projects may need to beg as well. But I still see no difference between the two methods of financing. Those aforementioned movie producers, in bypassing traditional methods of finance, are begging. And homeless people asking for donations on the street are just crowdfunding. But, there is one major difference between the two situations. When you donate to a homeless person, that person gets 100% of the donation. Donate to a Kickstarter campaign and between 3% and 5% of it will go to Kickstarter itself, to pay for things like web servers to keep the site going, or maybe just mansions and yachts for the owners. Yes, Kickstarter is a for profit company. So while you may find yourself donating to a worthy project on the site, just out of the kindness of your heart, remember that up to 5% of that donation is going straight into Kickstarter's coffers. This is a good article. Funny thing is I have been debating whether or not to hit launch on my project which ironically enough is about panhandling and the homeless to develop my project about it. I don't want to give too much away because it is either continue to do this project by myself or get others involved so thank you for this post it has really put a hult on me clicking submit...is there a better way? maybe take extra school loans to finish what I started...not sure what do you think?